A beautiful set of speakers was turned into a frame for a self portrait for PAD #44. 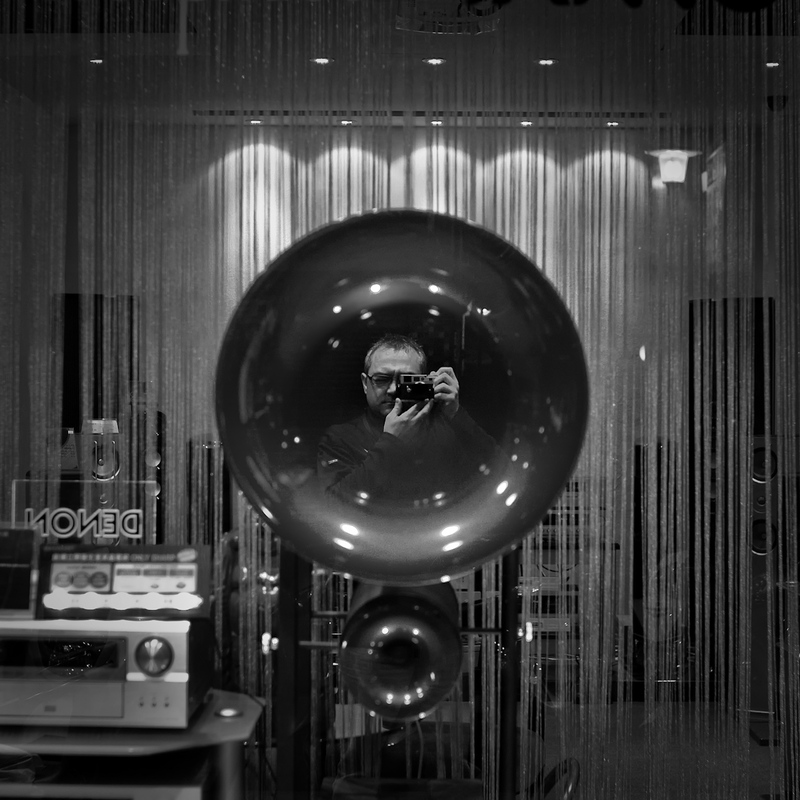 Hey, I know exactly where this store is because we stood there and looked at those speakers one evening just after shopping at the Leica store right around the corner. Nice photo. That’s really cool that you know where so many of these photos were taken. Now, you need to come back and do some more shooting here.